Bastl Instruments had a hefty presence at Superbooth 2017, with a range of new products on display. Perhaps the most eye-catching of these is Thyme, a “sequenceable robot-operated digital tape machine”. Designed for producing time-based effects, this offers nine parameters, each of which has a flexible modulation source known as the Robot. This can be an LFO with different waveshapes, an external CV source or an envelope follower. 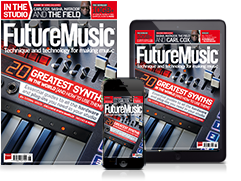 There are eight banks of eight presets and these can be sequenced with the built-in ‘meta sequencer’. A price and release date for Thyme will be announced in May. Another product that’s on the way is softPop, a “playfully organic” semi-modular light and sound synthesizer that enables you to create everything from random dripping water pops to subtractive basslines. 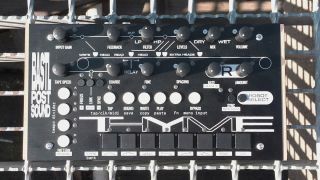 It has a fully analogue core comprising a dual triangle-core oscillator, state-variable filter and sample and hold, while the 6-fader interface is designed to make it easy for anyone to start tweaking. Other features include processing of external audio through the filter, a quantize option and a pattern generator. If you’re feeling brave, you can hack and mod via the ‘secret chamber’ in the back. Expect pre-orders for softPop to start within the next couple of weeks and a price of less than €300. As if this wasn’t enough, Bastl has also unveiled the Kong dual drumpad interface for Eurorack and Dude, a battery-operated 5-channel audio mixer. These cost €109 and €75 respectively. Find out more about all of the new products on the Bastl Instruments website.